Yogurt is very popular. But is yogurt good for diabetes? Yogurt is not only excellent if you’re a diabetic but also super healthy in so many other ways. By eating yogurt four to five times a week may lower your risk of developing type 2 diabetes according to recent studies. Research done in the U.K. for a period of ten years revealed that folks who consumed the highest amount of yogurt had more than a 23% lower risk of diabetes than those who didn’t have any yogurt. While yogurt is no magic potion to cure diabetes it does help with lowering your blood sugar and helping to control your diabetes. When additional studies were done and over 10,000 cases of people with type 2 diabetes were studied with their intake of dairy, there wasn’t an effect on diabetes. But looking specifically examining the yogurt intake they found an 18% reduction in the risk of type 2 diabetes with those one had one yogurt daily. This isn’t necessarily any one particular type of yogurt but previous studies showed that yogurt is good for those who maintained healthy body weight and the results did lower the risk for type 2 diabetes. Yogurt provides vitamin D, calcium, protein, and probiotics in most kinds. It has a much lower effect on glucose levels than you might think. It should be included in your diabetes diet as it also has a low glycemic index. Over 40 plain yogurts analyzed had a lower glycemic index than 50 of the yogurts that were sweetened. But this is not explained by the sugar content but rather by the ration of proteins to carbohydrates. Yogurts, especially plain yogurts, have lower glycemic indexes than just about any other carbohydrate food. So you are much better off with yogurt as opposed to other carbohydrate and protein sources. This reduces your glycemic index of your diet and kelps your diabetes. What do they say all the time? Breakfast is the most important meal of the day. Right? Well it happens to be true and I’m willing to bet that most people don’t see it that way and don’t follow the right plan for eating breakfast that carries you throughout the day. With diabetes especially it’s important to eat the proper foods and keep your blood sugar even throughout your busy day and night. 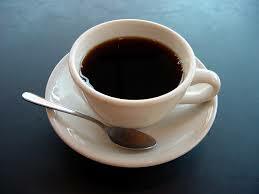 * Coffee- I’ll be the first to admit that I am not a coffee drinker even though I love the smell of it! I do know that drinking it black is the best way to go. You want to cut back or cut out the sweeteners because they will negate the benefits of the coffee. It would also help to drink your coffee after you eat breakfast if possible. * Breakfast bars- These bars that you can just eat fast when you’re on the run might not be as healthy as you think. Some brands may have a lot of carbs and sugars just as the candy bars do and that’s not good for your diabetes. I always read the labels for carbs and sugars so look for a granola bar that is high in protein and low in sugar. They even make frozen yogurt bars which are good too. * Fiber- Fiber is always important for you especially in the morning. Once you lower your carb intake you can lose some of the fiber as well. Fiber is beneficial for diabetics because it helps to lower your cholesterol, has no effect on your blood sugar, and makes you feel full a lot quicker. Oatmeal, cereal and breads high in fiber and apples are good choices to stabilize your blood glucose. * Protein- It’s protein that you really want and not carbohydrates. Carbs by themselves can cause spikes in your blood sugar when ingest alone. But if you connect them with protein they can bind to each other and then it takes much longer to burn them up and digest. Toast with peanut butter, eggs, and fruit with yogurt are some great choices. * Skipping breakfast- This is the worst choice you can make and I admit that I have been guilty of it. You may get away with this if you don’t have diabetes, but it’s not the case when you do have diabetes. If you skip breakfast, then your blood sugars will be higher throughout the day. At least have SOMETHING rather than nothing before you head out the door. Again yogurt, granola, protein bar, crackers and cheese will suffice. 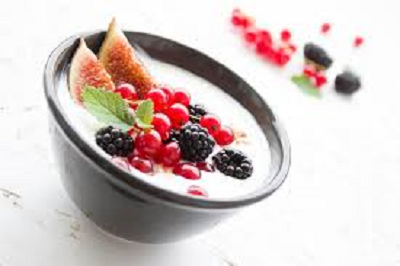 * Heart health- With yogurt it’s all about the fat content as far as the health of your heart. Most of the fat it contains is saturated fat and while it used to be that it was unhealthy for you and could cause heart disease, that just isn’t the case now. There are still many low-fat and fat-free varieties available today. Research was done showing that yogurt may lower high blood pressure and increase your HDL good cholesterol. * Improve digestion- Yogurt is easy to digest because of the active bacterial strains in the yogurt. The contents or probiotics in yogurt help in relieving diarrhea, inflammatory bowel disease, peptic ulcers, colon cancer, and constipation. * Vaginal infection- Women who are diabetic quite often experience vaginal infections due to candida. Having yogurt on a daily basis can prevent the candida infections by helping to lower the pH levels of the vaginal tract. Yogurt with probiotics can certainly help to make this situation and life a bit easier for diabetic women. 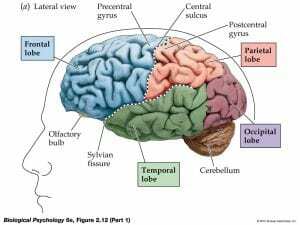 * Function of your brain- You can enhance your mood and cognitive function with the rich source of probiotics in yogurt. The large amount of potassium in yogurt maintains the balance of fluids in your body and is necessary for the health of your nerves. It helps in treating the nervous conditions such as Alzheimer’s disease, autism, and Parkinson’s disease. * Hypertension- If you happen to have high blood pressure, then yogurt can help you. It benefits you to lowering the sodium reabsorption and helping to keep your pressure down. You should always check it at home whenever you can. * Your bones- Because yogurt comes from milk, it contains large amounts of potassium, calcium, and magnesium. These minerals are excellent for protecting and maintaining bone health. This also means that this is good news from those suffering from rheumatism and osteoporosis. Getting ample amounts of calcium can help in lowering the incidences of osteoporosis in women with menopause. * Immune system- Yogurt can reduce the occurrences of inflammatory diseases, infections, and allergies with the probiotic strains of bacteria it contains. There are scientists who claim that having yogurt can activate your “T” cells which is a type of cell produced by the thymus gland that aids in the immune response. This helps you to build a stronger immune system. * Hair and skin care- Yogurt can cure rashes on your skin and cure acne when you apply it topically. It can close up your pores and decrease your dark circles and giving your skin a shiny glow. In addition to your skin yogurt treats your hair that may have dandruff and calms your scalp that can be itchy. * Your mood- Many folks may not be aware that yogurt can be responsible for enhancing your mood. This can be a result of your digestive tract improving from the favorable effects of probiotics. Tests done with healthy women who consumed two servings daily of yogurt for one month showed more control when it came to emotions and less anxiety than those who didn’t have yogurt. 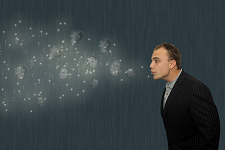 * Bad breath- Bad breath is bad news and can be embarrassing. It’s caused by gingivitis and doesn’t have to happen. You can fight it off with yogurt because it contains lactic acid which is a good bacteria that fights the gum disease. * Omega 3’s- If you need more Omega 3 fatty acids to aid in fighting cognitive decline, weight loss, preventing cancer, regulating your blood pressure and reducing inflammation then yogurt is the answer because of it’s abundant amounts of Omega 3’s. Greek yogurt is much healthier than regular yogurt. It is strained to remove the lactose and liquid whey. This makes it creamier and thicker. People with diabetes benefit from the fact that unsweetened Greek yogurt contains half of the carbohydrates and two times the protein than that of regular yogurt. I might caution however, that whole milk Greek yogurt contains three times as much fat as the regular yogurt. So choose the low or non-fat Greek yogurt. Always read the labels when buying yogurt and Greek yogurt. There are carbohydrates and calories in any extra toppings that may be added. Nuts, granolas, and candies can add to your sugar intake and you don’t want that. It’s easier and better to buy the plain yogurts and add the toppings yourself. Yogurt is really healthy for you and helps your diabetes and lowers your blood sugar if you’re careful with which ones you choose. I prefer Greek yogurt because it’s better for you. If you want to try something powerful that can really reverse your diabetes, I highly recommend this! Thank you for reading and if you have any questions or comments please leave them below. I appreciate it! Excellent article.. My grandmother has diabetes and we all want to reduce her blood sugar level naturally. When we think naturally what could be better than a healthy diet. Searching for best food for people with diabetes I came across your article. I am so glad that I found your site. 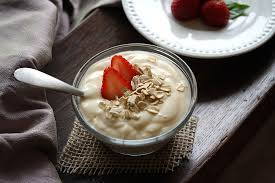 Frankly speaking I never thought about yogurt as a food to reduce diabetes, your article helped in understanding the benefits of yogurt and how it can be good for my grandmother. Not only her even I will consider yogurt in my breakfast from now on. Thank you sharing such an informative article. The best way to treat diabetes are the natural ways. Yogurt and especially Greek yogurt is good for you and can help with lowering your blood sugar and keeping your diabetes in check. I never ate yogurt as a kid but when I learned how important it is with helping my blood sugar I was on board with it right away. I try and stay with Greek yogurt and stay away from the yogurts that have added fruits and sugars. It’s much better for you. Interesting post! I’ve always liked yoghurt and was never quite aware of its amazing health benefits. I’ll definitely try and make it a more common addition to my diet. Is there a type of yoghurt that you’d recommend more? I’ve heard that the Activia yoghurts are great for probiotics but in other reviews, I’ve heard that it’s a scam. What do you say? I love yogurt and especially Greek yogurt because it’s so healthy for you. Greek yogurt is much better for you especially with type 2 diabetes. I would stay away from Activ and Dannon yogurts. They are not the best. The best yogurt out there is Style vanilla! It’s the best! I am not diabetic, but I do follow the low glycemic rules. I was struggling with my weight a long time ago, and the more I was dieting, the more I was gaining weight. So one day I received a book about low index glycemic food, and I lost all the weight I wanted thanks to this book. Anyway, I love yogourt, but in my book, it’s written that yogourt 0% fat has higher index glycemic than the 1,5%. But that was a few years ago, and now things might have changed. Anyway, do you know something about this? You’ve got the right idea having foods with a low glycemic index. The lower the better. Yogurt is great for diabetes and especially because of its low glycemic index of 14%. But what you want to be careful about is that the yogurt you’re having is plain and doesn’t have added fruit and sugars. That’s the important thing to watch out for. Very useful article about a natural solution to diabetes. I am a type 2 diabetes and I am always in border levels. I regularly take yogurt but I never knew it helps to suppress diabetes. It’s maybe one of the reasons to have my diabetes in border level.Can you explain if yogurt helps type 1 diabetes too? Yogurt is good for you and very healthy. It can help you to control your blood sugar levels and diabetes if you are a type 2 diabetic and can help if you’re type 1 but the only thing that really helps with type 1 is insulin. Since you are a type 2 diabetic there are many things you can do to help your blood sugars. Check out some more articles I have posted that can help you.